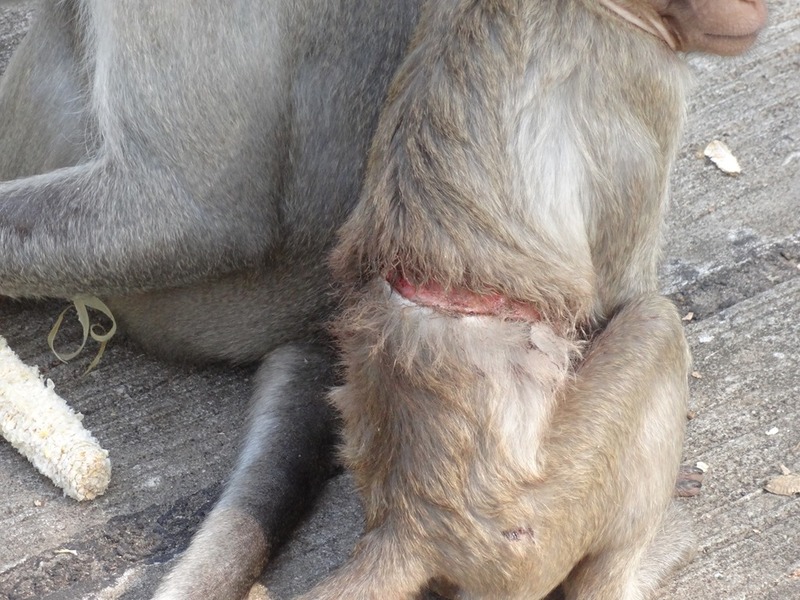 One of our juvenile long-tailed macaques gave us a lot of concern earlier this year. When we first saw him we feared for his life but he quickly showed amazing resilience and we reduced our pessimistic expectations to his losing a limb. These photos were all taken in March in the couple of weeks after we first saw him. Be warned that they are somewhat distressing, though not nearly as distressing as it was to see him. But even so, our distress was tempered by admiration for his patient forbearance. Our first thought was that the frayed strands at his elbow were exposed tendons, but the photographic evidence pointed fairly clearly to a rope of some kind. He spent a lot of time picking at it, trying to undo a knot, we thought. He also spent a lot of time licking the skin on his forearm. The only explanation we could come up with was that somebody had attempted to capture him. 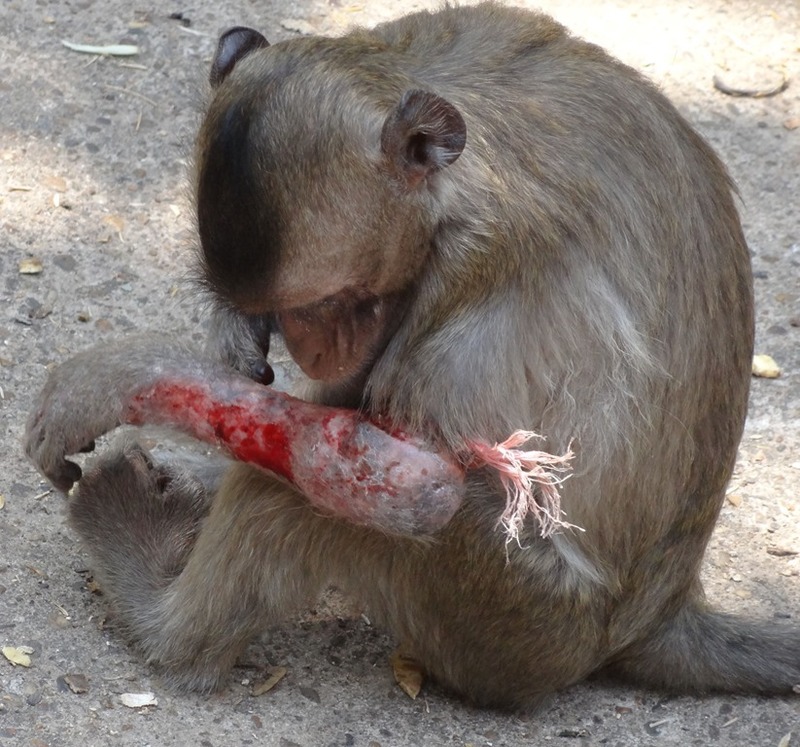 The long-tailed macaques in our forest love to play with everything they find and I have been amazed that there do not seem to have been any fatalities caused by pulling plastic bags over their head, or by strangulation as they wrap strips of cloth around their necks, and so on. 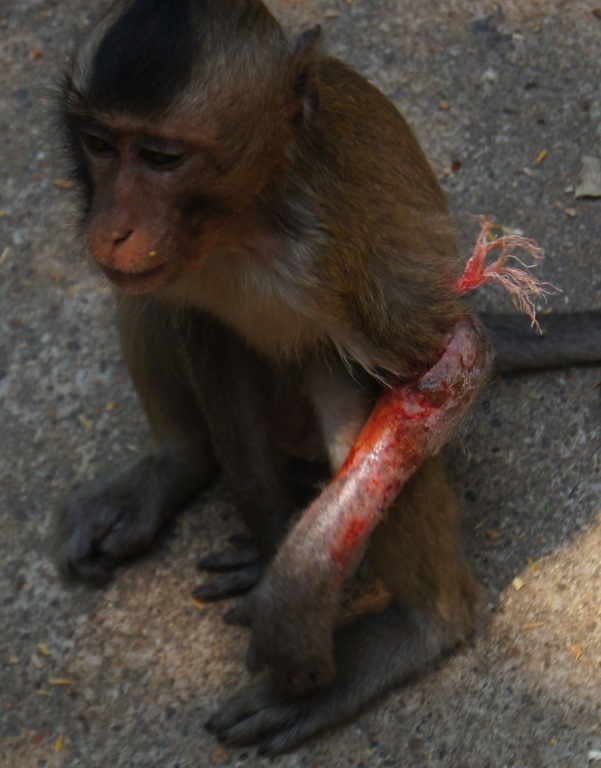 But we are now convinced that this monkey’s injuries were caused by accidentally pulling a knot tight around his arm. 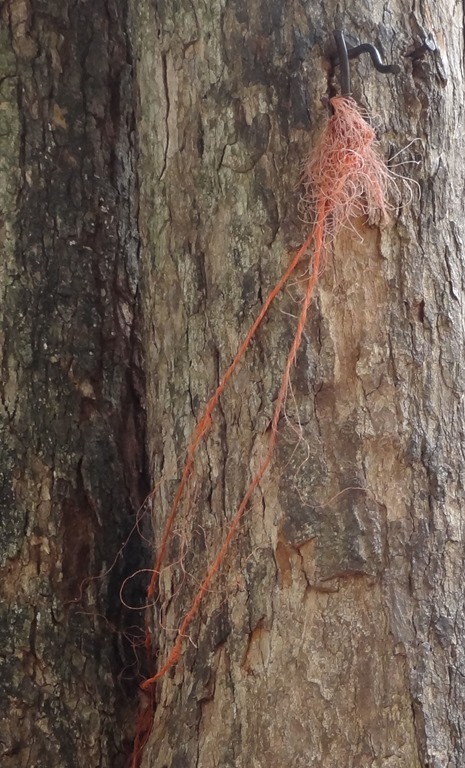 So a rope tied to a spike in the tree and left after some ceremony or festival seems to have caused the agony this monkey must have suffered. 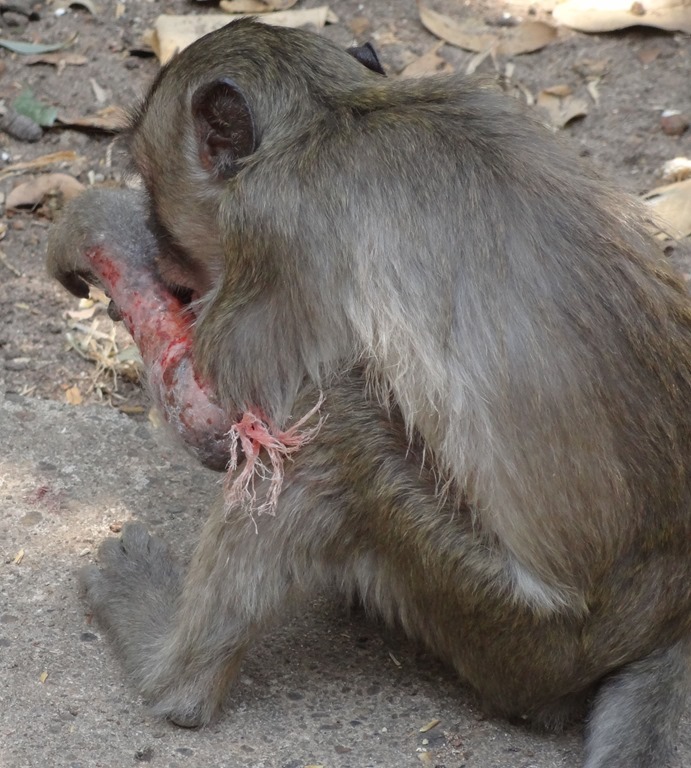 A very similar case was this monkey but here we had visual evidence (but not photographic, unfortunately, of what befell him. 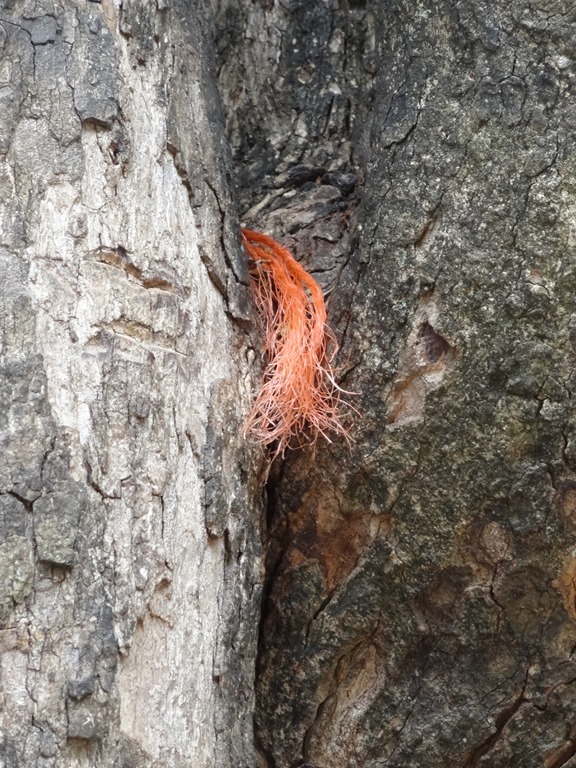 Someone reported seeing a monkey struggling against a length of wire which was attached to a tree and in which he had become entangled. The monkey had escaped from the wire when I was taken to the spot, but a week or two later we found him and I took these photos. 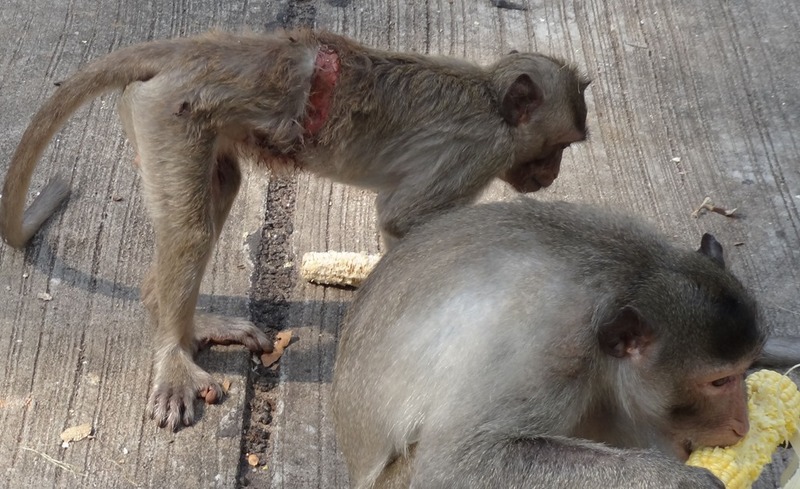 In both cases the injuries were the result of long-tailed macaques renowned curiosity combined with unthinking (but not deliberately sadistic as we had at first suspected) carelessness on the part of humans. The good news is that both these monkeys have survived though we see them infrequently. The first one still has his injured forearm although it has lost all functionality. 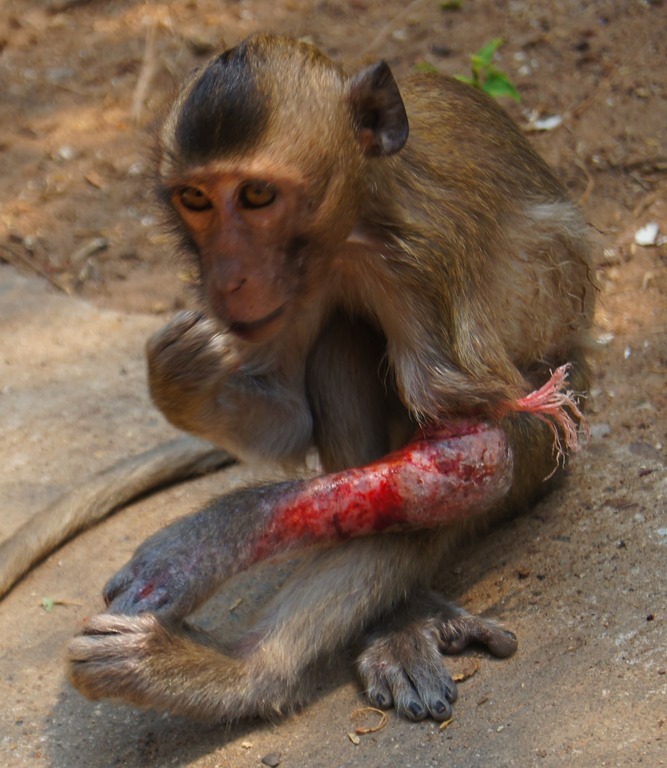 As with most animals, long-tailed macaques are able to adapt remarkably well to the most severe injuries if they are lucky enough to survive them. 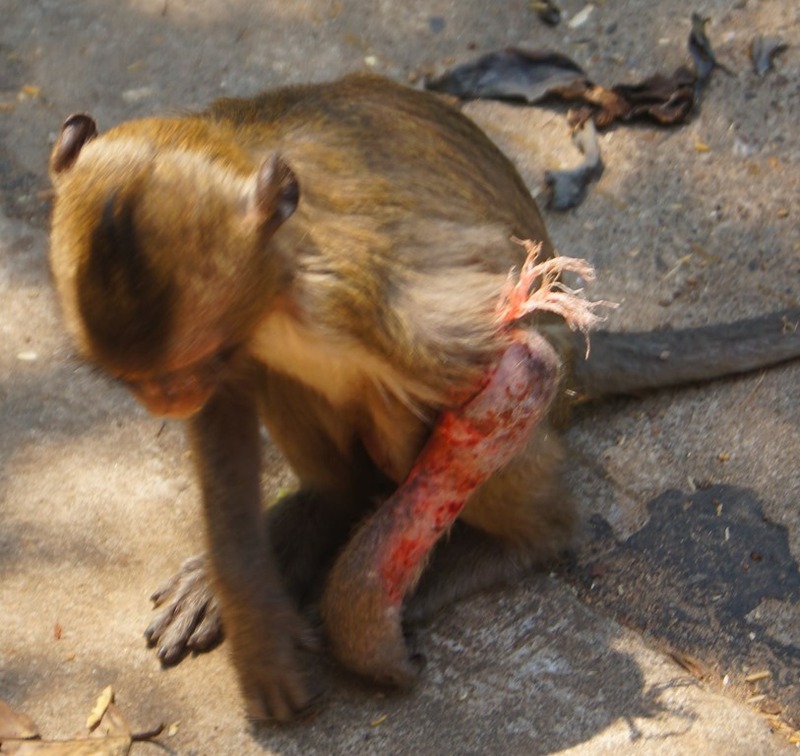 This entry was posted in injured monkeys, Long-tailed Macaques, Macaques, monkey forest, Monkeys, Phana Monkey Project and tagged injured monkeys, Long-tailed Macaques, Thai monkey forest, Thai monkeys. Bookmark the permalink. Interesting article Lawrence! Great to know they survived. 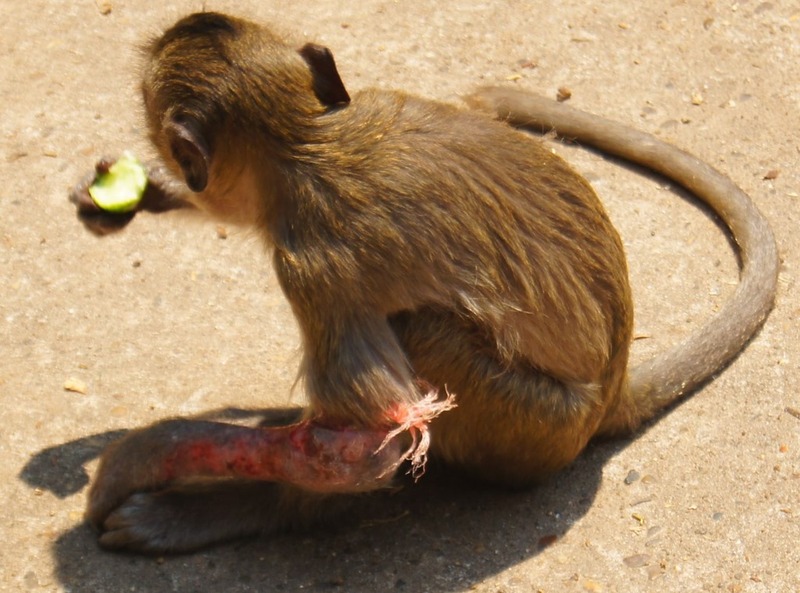 It’s amazing to think how they can cope with their injuries without medical intervention.